Band to Join, Rhythm Guitar, Lead Guitar, Acoustic Guitar, Bass Guitar, Drums, Other Percussion, Violin, Keyboard, Piano, Other, Bagpipes, Cello. Talented, motivated vocalist and songwriter seeking like minded band, project, or collaborators. Looking for partners who share a passion for music, excellence, and creating something great together! Interested in writing, recording, live performances, and selling the work. Candidates must have home studio capability and a solid work ethic. I realize many people have families, jobs, and other pursuits, however, please contact me only if you have serious interest in creative enterprise and will meet your responsibility to the team and the work. Thank you! Black Sabbath (Ronnie James Dio, Tony Martin eras), Deep Purple, Dio, Evergrey, Fates Warning (Ray Alder era), Heart (Ann Wilson), Heir Apparent, Iced Earth, Jethro Tull, Jorn, Journey, Judas Priest, Kamelot, Kansas, Led Zeppelin, Nightwish, Queensryche (80s era), Pink Floyd, Porcupine Tree, Rainbow, REO Speedwagon, Riverside, Rush, Symphony X, Tool, Voodoo Circle, Whitesnake, Yes, many others. Mac-based studio and live rigs. All pro gear. Can record and produce my own tracks. FirebrandVocals: Jen Martire; Guitars/Drum Sequences: Michael Miller. ©2012 Soulbinder. All Rights Reserved. Heaven and HellVocals/Choir: Jen Martire; Guitars/Drum Sequences: Michael Miller. Bass: Wagz Wagner. Original Song: Black Sabbath. Ties That Bind (Snippet)Vocals/Synths/Orchestration: Jen Martire; ©2010 Jen Martire. All Rights Reserved. WitherVocals/Choir: Jen Martire; Piano/Guitars/Synths/Drum Sequences: Michael Miller. ©2009 Soulbinder. All Rights Reserved. Crying FireVocals: Jen Martire; Guitars/Synths: Michael Miller. ©2009 Soulbinder. All Rights Reserved. Tears Of OrionVocals/Orchestration: Jen Martire; Guitars/Bass/Synths/Drum Sequences: Michael Miller. ©2010 Soulbinder. All Rights Reserved. Sleeping GiantsVocals/Choir/Orchestration: Jen Martire; Guitars/Drum Sequences: Michael Miller. ©2009 Soulbinder. All Rights Reserved. Servant Of DesireVocals/Choir/Synths: Jen Martire; Guitars/Drum Sequences: Michael Miller. ©2009 Soulbinder. All Rights Reserved. Gates Of EdenVocals/Orchestration: Jen Martire; Guitars/Drum Sequences: Michael Miller. ©2008 Soulbinder. All Rights Reserved. Storm Winds Of The Morrigan (live)Vocals: Jen Martire; Guitar: Scott Haggerty; Keyboards: Johanna Balogh; Drums: Drew Lyscik. ©2000 Mindframe. All Rights Reserved. In The TreesVocals: Jen Martire; Guitars: Scott Haggerty; Keyboards: Johanna Balogh. ©2000 Mindframe. All Rights Reserved. The MindframeVocals: Jen Martire; Guitars: Scott Haggerty; Keyboards: Johanna Balogh; Drums: Drew Lyscik. ©2000 Mindframe. All Rights Reserved. 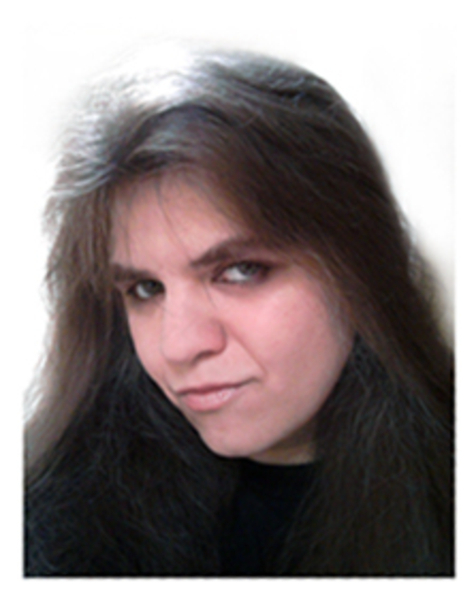 Eternal Idol (Snippet)Lead vocal: Jen Martire. Source track: Black Sabbath. Diamonds And RustLead vocal: Jen Martire. Source track: Blackmore’s Night. Original work: Joan Baez.